A big field is set to go to post for the 2017 Derby at Epsom, the pinnacle of the flat racing year and Britain’s richest horse race with a purse this year of £1,625,000! Who will win? 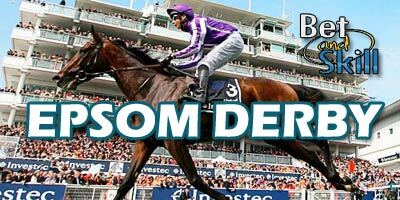 This article contains our 2017 Epsom Derby betting preview with free tips, predictions, best odds, exclusive offers and no deposit free bets. CLIFFS OF MOHER made his debut at Cork in October when only managing fifth due to inexperience and looking to need plenty further to show his best. Anyway, he made his mark at Chester earlier this month as Ryan Moore guided Aidan O’Brien’s charge to a comfortable victory in the historic Dee Stakes. Moore was forced to push his charge along three furlongs from home, but his mount reacted well, swooping into a commanding, unassailable lead before claiming that Listed title by one-and-a-half lengths. He is the ante-post favorite of the Epsom Derby. CRACKSMAN travels to Epsom on the back of a solitary outing this season, as he won the Derby Trial at Epsom in April, overcoming trouble and inexperience. The son of Frnakel made his racecourse debut at Newmarket in October when winning well despite showing inexperience. EMINENT, the other son of Frankel in the race, was a good winner of the Craven Stakes at Newmarket back in April, beating Rivet (who went on to finish 3rd in the French 2000 Guineas) and Benbatl (who followed up that race by coming second in the Dante). Others to note from the O'Brien squad include VENICE BEACH, who led home a one-two-three for the trainer in the Chester Vase, and DOUGLAS MACARTHUR who did likewise when winning the Derrinstown Stud Derby Trial at Leopardstown. Godolphin will be represented by Lingfield Derby Trial victory, BEST SOLUTION. Winner of the Autumn Stakes at Newmarket last season, the three year old by Kodiac had a less than fruitful campaign out in Meydan in the winter before making his British return in the Lingfield Derby Trial. Another for Godolphin, the Dubawi colt BENBATL won impressively on his debut at Doncaster in April and backed up that run when finishing third in the Craven Stakes behind Eminent 18 days later. He finished runner-up to Permian in the Dante Stakes when last seen. The final Godolphin horse in the race is Saeed bin Suroor’s DUBAI THUNDER, a horse who won his only race in maiden company by ten lengths so far. WINGS OF EAGLES he finished 4th behind Coronet, Cunco and Permian in the Listed Zetland Stakes at Newmarket, before coming home a distant 7th on his first visit to Saint-Cloud. His only appearance so far this season came in the Chester Vase, where he produced an eye-catching late charge to overcome a slow start and finish closest to the winner, Venice Beach. John Gosden's KHALIDI enters the race on the back of a career best effort to win the Cocked Hat Stakes at Goodwood and could be a surprising contender while REKINDLING won the Group 3 Ballysax Stakes on his penultimate start at Leopardstown but failed to build on that when behind Permian and Benbatl in the Dante Stakes at York last time out. Gosden also has CROWNED EAGLE, a horse who shed the maiden tag at the third attempt. He won a 1 mile Nottingham maiden in November before winning on his seasonal reappearance in a 10 furlong handicap at Windsor. GLENCADACAM GLORY was the winner of a strong maiden at the back end of last season. Anyway, he was was disappointing on his first start this season in a Sandown handicap and was second to Best Solution in the Lingfield trial despite a strong finish. SALOUEN had a busy campaign as a two year old last season running eight times, but winning only twice. He has only been seen once this year where he finished a neck behind Khalidi over 9 furlongs. The last of Aidan O'Brien squad THE ANVIL. He was not particularly impressive during his two-year-old season, with a third behind Glencadam Glory and a second to Best Of Days his best results in four seasonal starts. He won a maiden by 4 lengths and finished third to Venice Beach and Wings Of Eagles in the Chester Vase. PEALER is the last of Gosden’s contenders and is likely to be the pace angle in the race while DIORE LIA is a huge outsider as she was entered by her owner in a bid to raise money for charity. 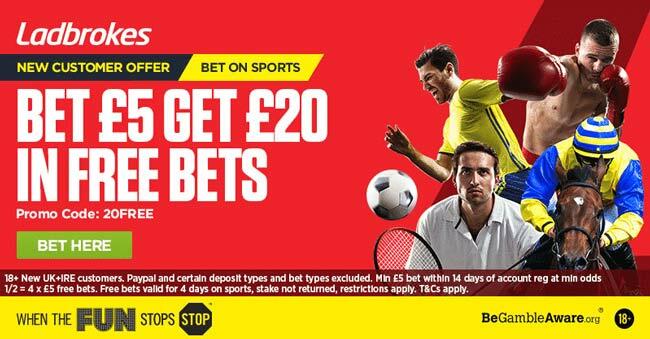 "2017 Epsom Derby predictions, betting tips, best odds and free bets (Epsom - 3rd June 2017)"